30 cubic feet (i.e. 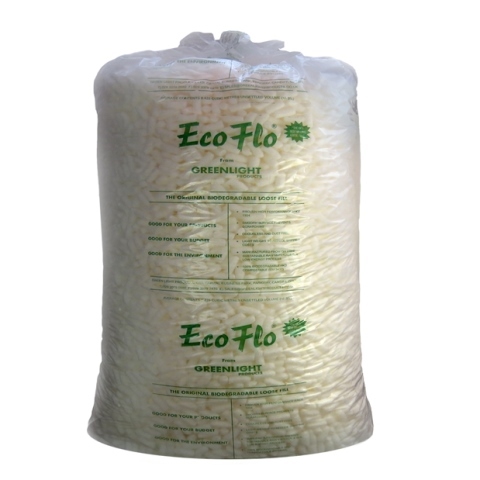 2 bags of 15 cubic feet) of ecoflo biodegradable loose fill, also known as packing peanuts and void fill. These are UK manufactured and eco-friendly as they are fully biodegradable. Great for filling the gaps / voids in your parcels.